The first commercial run on Tamur was in 1990 and there have been very few descents since then.The trip combines one of the best short Himalayan treks with a challenging and exhilarating river journey. Tamur drains the snow of the mighty Kanchanjunga massif, the third highest peak in the world, and flows through a truly beautiful and unspoiled gorge. The superb sandy beaches, few villages and limited agriculture along the river provide Tamur with the most pristine rafting environment in Nepal. 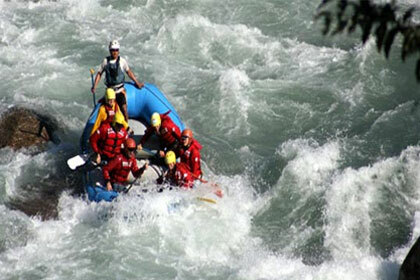 Although the Tamur is still relatively untravelled, it probably has created more whitewater interest than any other commercial rafting river in Nepal. With three days of trekking through the foothills of the Himalayas followed by 120 kms of exceptional whitewater,the Tamur is a highly recommended for an active and exhilarating journey through the wilds of Nepal.